An air duct is where the heated or cooled air from your heating or cooling system travels to reach the different areas of the house. There are various materials used on these air ducts, which we will go through in this post. We will also get to know their pros and cons so you will have a better idea on what to expect, in case you’re having yours installed or you’re thinking of air duct replacement. One of the most common materials used in air ducts is sheet metal. They can be round or rectangular and they are made of galvanized steel. These ducts can be insulated from the inside or the outside. Inside insulation can lower noise, while outside insulation prevents various elements and dusts from being trapped. While it would still need air duct cleaning after some time, it would not be that frequent since it’s protected from dirt by the insulation material. It’s also flexible, which is a good option for unusual locations. Although according to the specialists in air duct cleaning Walnut Creek, the joints must be focused on as these are the areas where leaks usually occur. Flex is another popular material used. It’s composed of metal wire covered with flexible plastic, insulated with fiberglass then protected with foil layer or vinyl. One of the advantages of having this material is that it’s easy to install. 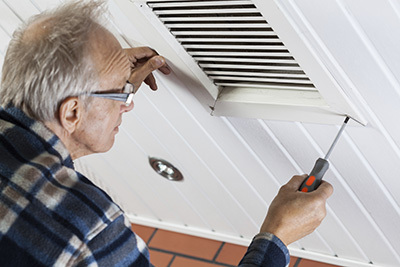 Moreover, air duct repair or change can also be easily done if needed. Like the sheet metal, it’s also good for reducing noise. While it’s easy to install, the process should also be done carefully as it can get easily damaged. Next, we have the duct board. It’s an aluminum foil wrapped fiberglass board, which serves better protection against moist. The good thing about it is that it’s durable so it should last for a longer time. It’s also lightweight that’s why it wouldn’t take a toll on your structure and it wouldn’t be that difficult to install too. Air duct maintenance may be needed just to make sure that the fiberglass is protected from water. If it gets wet, this may require you to replace your ducts. In some homes, the building cavities are used as the passages of heated or cooled air. This is a cost-effective solution as there are no other materials required for the installation. Aside from the cost, another advantage is that leak is almost not a problem. However, air flow may be obstructed, which can also affect your overall experience, when it comes to heating or cooling your home. No matter what type of material is used on your air ducts, it’s recommended to keep them clean to ensure the efficiency of your HVAC system, as well as to maintain the air quality indoors.